I did a brief search and saw there are other solutions for this scenario. 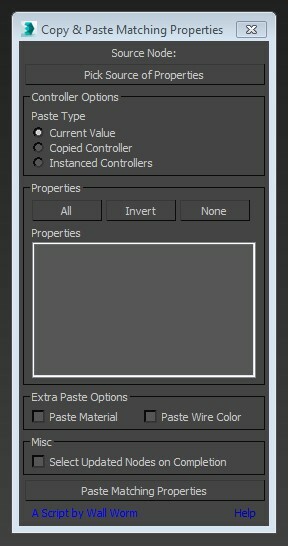 I'm just sharing a UI and functions that I think are useful for the kinds of things I do. Submitted by lightcube on Thu, 2015-02-26 15:38. Ouch... useless is a pretty harsh label. I made this tool in response to a specific request. Sure, it could be expanded to include a datagrid of values. But that's for some future version, possibly. I'm pretty shocked you'd label it useless, however. I've found it to be useful. Submitted by fajar on Sun, 2014-11-23 11:05.
its useless, for beginer at least, because in the listbox it only listed the object properties without knowing the value it contained, so how would I copy something that i dont know which one to copy ?